Ignition Casino, Bovada, and Bodog are running a $250K Guaranteed Poker Tournament. Qualifiers have already begun, so make sure you get in on the action! The tournament takes place on Saturday, February 3rd and this is the day before the Super Bowl. 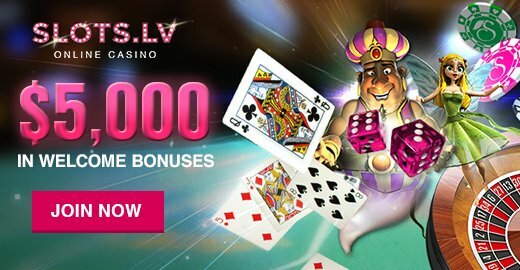 So, you can get all of your favorite poker playing in before enjoying the big game with friends and family. Secure your spot in this special edition poker tournament for great cash prizes. The upcoming Super Bowl LII weekend is going to be packed with great sports action and poker. The day before the 2018 Super Bowl LII. Make sure to play the $250K GTD Tournament on Saturday, February 3rd and qualify by buy-in or through qualifying. The tournament takes place at 5:00 ET, so make sure you are qualified soon to win huge prizes! The massive $250k pot is guaranteed, and events are happening multiple times a day. As the tournament runs, more GTD seats will be available. Every evening at 8:30 PM EST there is a satellite tournament for $44 which has a guaranteed seat to the big tournament. Tournament seats are filling up fast, so don’t miss out on the excitement of the tournament. Qualifying for the $250k tournament is easy. There are a variety of poker games and stakes to choose from. When you visit the poker software at Ignition Casino, Bovada or Bodog, you will be able to find all the information and qualifying games. All levels of poker players are welcome to give it their best try at winning a piece of the $250,000 prize pot. Players can bet as low as $7.70 to have the chance to claim a seat at the tournament table. Qualifiers are running now and will continue to run up until the main tournament date. Players also have the opportunity to bypass the qualifying rounds and buy-in to the tournament to secure a spot. To bypass the qualifiers and immediately secure a seat for this special tournament, it will cost you $300 + $25. Any winning qualifier and satellite tickets are only valid for the $250K GTD tournaments. February 3rd, 2018 is the last date any tickets can be used. Only players in valid countries and regions can take part in this tournament. 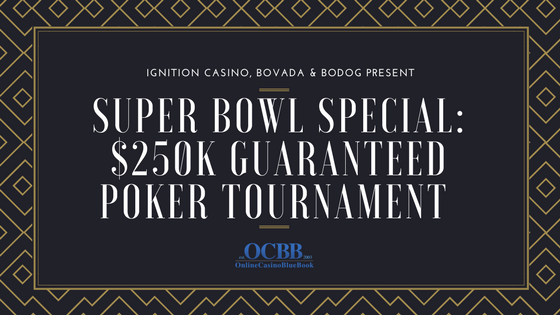 Reach out to Ignition Casino, Bovada or Bodog for more information about this tournament and additional rules, regulations, and regulations.